Hear me roar! Feel fierce as you style this bag by From St Xavier. Perfectly sized to go from day to night in a cinch. Round convertible bag crafted in velvet. 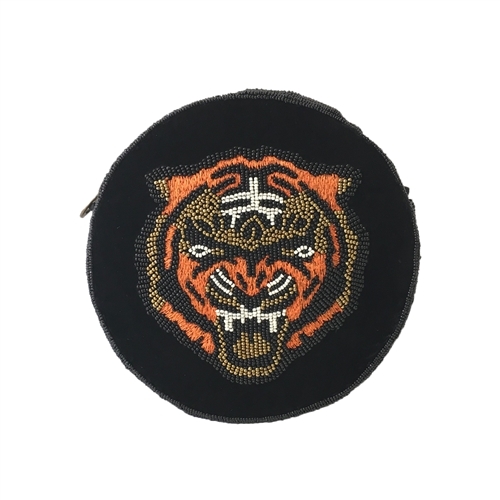 Front features a hand-beaded roaring tiger.